A digital interface is the technology that allows interconnectivity between multiple pieces of equipment. In other words hardware devices can communicate with each other and accept audio and video material in a variety of forms. The Digital Interface Handbook is a thoroughly detailed manual for those who need to get to grips with digital audio and video systems. Francis Rumsey and John Watkinson bring together their combined experience to shed light on the differences between audio interfaces and show how to make devices 'talk to each' in the digital domain despite their subtle differences. They also include detailed coverage of all the regularly used digital video interfaces. 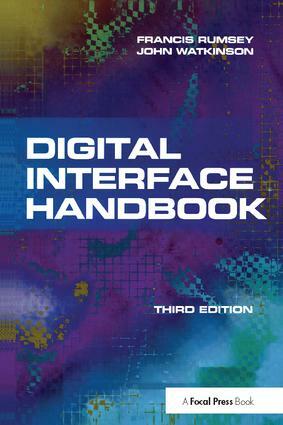 New information included in this third edition: dedicated audio interfaces, audio over computer network interfaces and revised material on practical audio interfacing and synchronisation.